Fascia boards are an important part of your house. They are the boards which run behind the gutters and protect the outer edge of the roof. 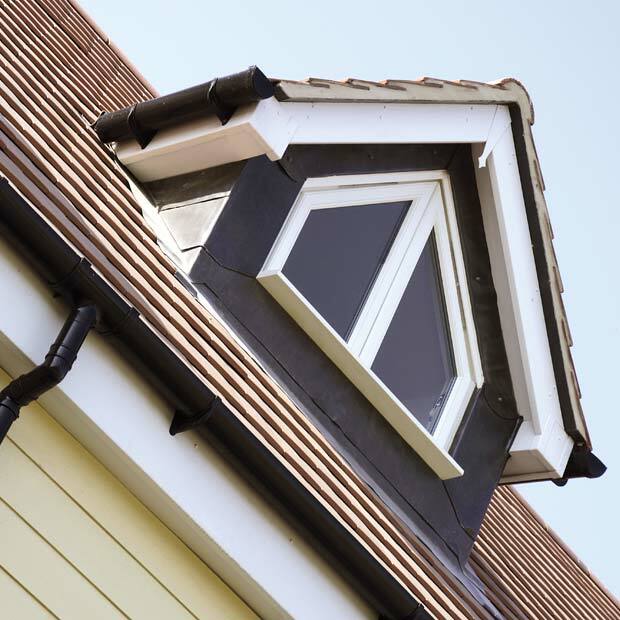 Fascias are attached either to the ends of the rafters or to the top of the outside wall of the house, and prevent the elements from damaging the rafters. If fascias rot or become damaged, moisture will begin to affect your roof. Camberley Glass and Windows stock fascia boards in a range of colours and materials, so that you can chose a perfect match for your property. All our products come with a full guarantee. We suggest that you have your fascia boards professionally fitted by our efficient and professional installation team who are fully qualified in all aspects of current requirements and regulations and are FENSA registered. Camberley Glass and Windows are a local company that has been providing glass, glazing, doors and roofline products to the people of Surrey for many years. We were established in 1965 as a family run group of companies, and have expanded to provide products for the building trade and home improvements industry. Much of our business comes from personal recommendation and our success is reflected in our testimonials and high rating on Checkatrade. We are also on the Buckinghamshire and Surrey Trading Standards Approved list of traders. Let Camberley Glass and Windows be your first port of call for your replacement fascia boards. Our team of professional advisers, many with more than 20 years experience with us, are on hand to answer any questions you may have and to make sure that you have the right products for the job. We do not employ commision staff or indulge in pressure selling or gimmicks. Call us or visit our showrooms in Camberley, Surrey, for the best advice and service.